What is the mind behind the musical ear? What intelligence do we use when we listen to the complex structure of music? How does hearing become a conversation among composer, performer, and listener? When does music “make sense?” Why does it need to? 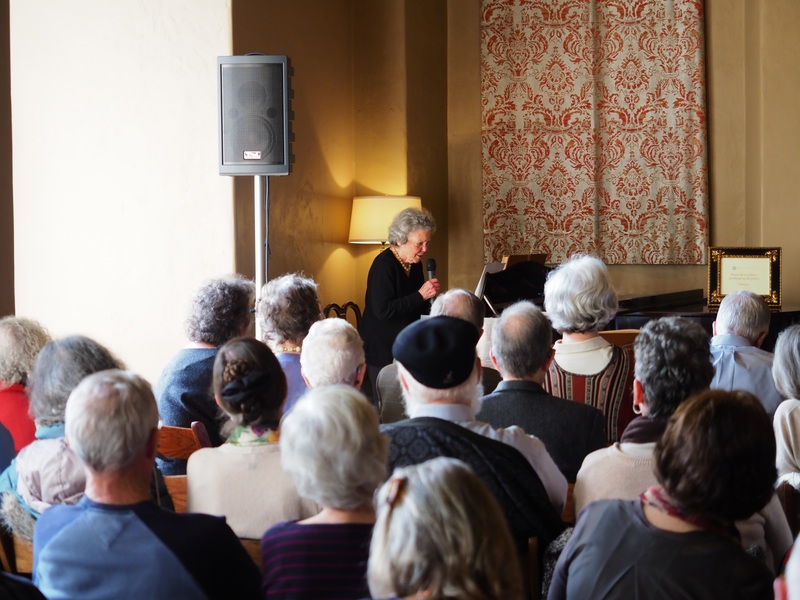 Jeanne Bamberger, distinguished musician, cognitive theorist, author, and Ashby Village member, engaged her audience with these questions through music performance and her penetrating insights into the musical mind. In addition to being an emeritus from MIT, she has also taught as a visiting professor at the Graduate School of Education at Harvard University, and is currently an Adjunct Professor in the music department at UC Berkeley. Read more about Jeanne in this interview. 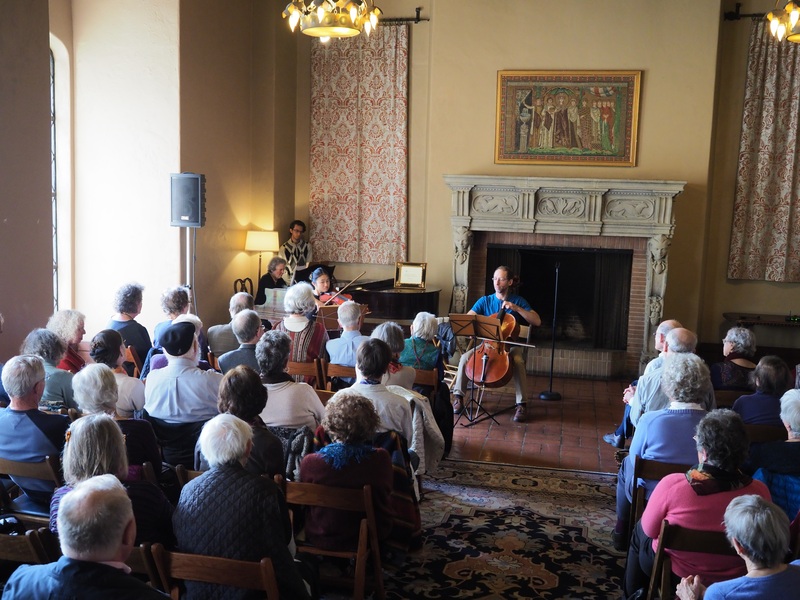 The latest Ashby Village Arts & Culture event on Sunday, November 19 at the stately Berkeley City Club drawing room drew an enthusiastic response from a packed gathering of musicians, music lovers, cognitive scientists, novices, and devoted Bamberger fans. “Our Ashby Village Arts & Culture events are proving to be a wonderful way for AV members like Jeanne to share insights from their life’s work with others in Ashby Village and the broader community,” said AV Arts & Culture Group member Rochelle Lefkowitz. Like all good inquiry, Bamberger’s presentation generated more questions: What is distinctive about music as a language? Is making sense of music a culturally specific endeavor? How does music elicit emotions? The perception of beauty? Why does it make us feel good? When asked in the Q&A portion of the event whether aging adversely affects the appreciation of music, Bamberger, 94 (93? ), quipped that she was too busy thinking about how she was not aging. And, indeed, her wealth of knowledge and talent for sharing it is a testament to what keeps her so busy.